Maintaining a clean office will improve your company’s image and the performance of your work. 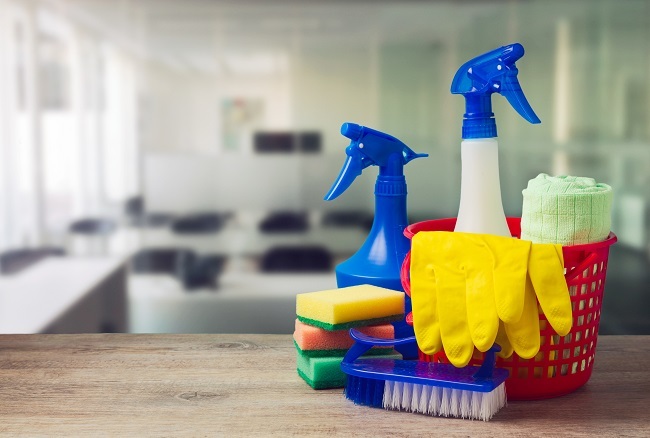 Here are a few tips for keeping your office clean. It is important to set firm guidelines into place. Make sure your workers adhere to these guidelines. For example, make sure everyone disposes of their waste in a timely fashion. Make sure they wipe down their desks. Request they wash their hands with soap after leaving the bathroom. Buy soap and disinfectants for your workers to clean their hands. Make sure they dispose of their tissues. Disinfect all surfaces a few times a week to prevent germs from spreading. Install a welcome mat at the entrance door. This is especially important during the winter and when it rains. Supply mats so they can wipe their shoes or boots before coming in. This will keep the floor clean and free of mud or wet streaks. You also want to have a good air quality. To keep the air clean, make sure the HVAC vents are cleaned and free of dust. In addition, use air fresheners. As a busy manager, you don’t have time to clean your office. Your employees also shouldn’t have to spend unnecessary time and energy on cleaning up your office. Get a professional cleaning service to clean your office on a regular basis and get it off your shoulders. Contact us for more information on how to get started.